Mary K. Byrnes, a longtime resident of Tarrytown, New York, died peacefully on Tuesday, January 23, 2019 in Zephyrhills, Florida. She was three days shy of celebrating her 89th birthday. She was born to Domenick and Elena Kucich in Punta Kriza, Istria, Yugoslavia. In early August of 1930, Mary and her parents arrived in America, and shortly thereafter, moved to North Tarrytown. She graduated from North Tarrytown High School in 1948. In October 1958, she married Andrew Patrick Byrnes and they built a life and family together in Tarrytown. Mary enjoyed being an active member of her community and was a long-time parishioner of Transfiguration Church. 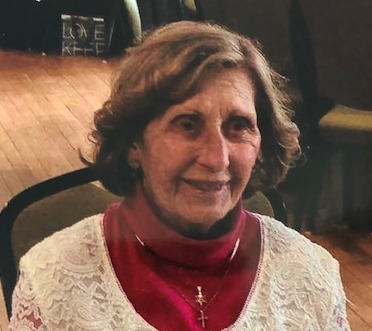 She was a former commissioner of the Tarrytown Housing Authority, a member of the Architectural Review Board for the Village of Tarrytown, and also a member of the Tarrytown Seniors. She retired in 1992 after working for IBM for many years. Mary was predeceased by her parents, her husband, Pat (1991), her son, Kevin (2000), and her brother, John (2017). She is survived by her sons, Andrew (Lori) of Dade City, Fl., Brian (Danielle) of New City, NY, daughter in-law Ria of Paoli, Pa. She is also survived by her grandchildren Kelly (Emily), Ariana (Shaun), Lindsay, Trevor and her nieces and nephew. Visitation will be at Coffey Funeral Home 91 North Broadway Tarrytown, NY on Wednesday 1/30/2019 from 4pm- 8pm. A funeral mass will be held at 10:30 am on Thursday 1/31/2019 at Transfiguration Church 268 South Broadway Tarrytown, NY. Burial will be at Sleepy Hollow Cemetery.